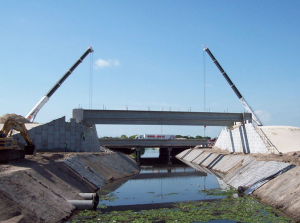 VN Engineers, Inc. was responsible for the development of the conceptual plans for the Roadway, Signalization, Maintenance and Protection of Traffic and Lighting design for the RFP and criteria package for the replacement of two separate bridges along RT 8. This Design Build project is the first Design Build roadway and structures project done in Connecticut. The concept plans include the geometric design of the roadway and planned M&PT schemes to be used by the Design Build contractor. The project also included the design of final signal plans for two intersections, signal timing, construction scheduling, cost estimating, accelerated bridge construction techniques and local coordination with the City and utility companies. The Pearl-Asylum State House Square section of the City of Hartford’s Intermodal Triangle project focuses on the improvement of transit functionality between Union Station and State House Square. 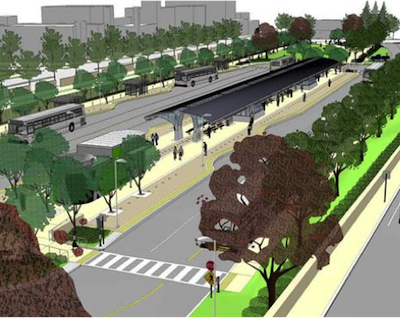 These improvements will incorporate the physical accommodations and amenities to implement the transit patterns originally proposed in the City’s TIGER grant proposal in March, 2012 and then refined in February, 2013. This project entails three levels of streetscape improvements along with various Roadway, Transit, and Traffic Circulation Improvements. VN Engineers, Inc’s responsibilities on this project include: the redesign of traffic control signals at 11 intersections, preliminary drainage design, utility coordination, preliminary and final illumination design and special provisions and cost estimates. The New Britain – Hartford Busway is a dedicated Bus Rapid Transit (BRT) facility along an exclusive 9.4 mile corridor between downtown New Britain and downtown Hartford. The Hartford South project is a 2.5 mile long section of the Busway from Oakwood Avenue in West Hartford to Laurel Street in Hartford. The project involves many complicated design issues including the layout of the two-lane Busway running parallel to an active railroad. 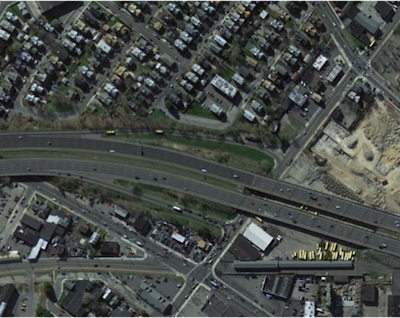 The project contains three bus stations and the design of three bridges adjacent to active railroad bridges. The Busway is a controversial project that has required a continuous public involvement effort. VN’s project team was involved in the analysis and design of the proposed drainage system, noise wall design, site design, utility coordination, illumination, preparation of detour plans and signalization for the project. Our proposed project manager for your projects, Robert Gomez, served as the project manager for the Busway for three years prior to joining VN in 2009. VN Engineers, Inc. assisted in the design of SPN. 18-113, Brookfield Bypass in Brookfield, CT. The project involved extending the Route 7 expressway from the former terminus at Route 202 in Brookfield to the Brookfield-New Milford town line. The 2.7 mile highway bypasses Brookfield Center to the west, carrying Route 7 traffic directly to New Milford. Three traffic signal designs were prepared implementing far side traffic signal heads, utilizing Connecticut Department of Transportation traffic signal design standards. Traffic signal installation details, special provisions and quantity estimates were developed for each subject project. Roadway surface drainage plans were developed corridor wide, including drainage details drawings, special provisions and quantity estimates. Interchange illumination plans including special provisions and quantity estimates were developed. Pavement marking and signing plans were prepared corridor wide, including special provisions and quantity estimates. Construction design support services; as well as construction inspection services were also performed. VN Engineers, Inc. assisted in the design of SPN. 95-219, 95-226, 95-227 & 95-228. The project involved major widening of approximately 3 miles of Route 7 in the Town of New Milford to provide for two lanes in each direction. 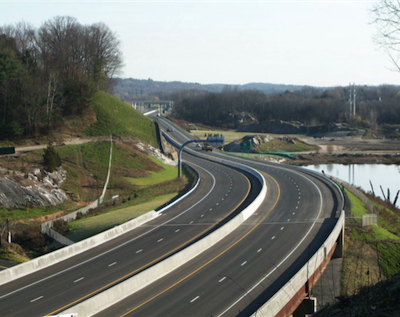 The project improved safety by incorporating exclusive left turn lanes at signalized intersections, and also constructed a new Lanesville Connector access road. Six traffic signal designs were prepared implementing far side head traffic signal heads, utilizing Connecticut Department of Transportation traffic signal design standards. 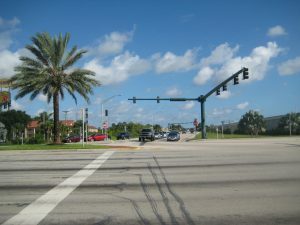 Traffic signal installation details, special provisions and quantity estimates were developed for each subject project. Roadway surface drainage plans were developed corridor wide, including drainage details drawings, special provisions and quantity estimates. Pavement marking and signing plans were also developed, including special provisions and quantity estimates on a per project basis. Worked as a sub-consultant to Ammann & Whitney, VN Engineers, Inc. assisted in the design of SPN. 7-168. The project included the replacement of an existing stormwater pumping station, geometric roadway improvements, railroad bridge replacement and traffic signal replacement on Farmington Avenue (Route 372) in the town of Berlin, CT.
A stormwater pumping station was designed to replace an existing deficient stormwater pumping station. Roadway surface drainage plans were developed corridor wide, including drainage details drawings, special provisions and quantity estimates. Staged maintenance and protection of traffic construction plans were developed to maintain traffic on the busy corridor during construction. Developed detour plans to facilitate construction activities related to the railroad bridge replacement. A traffic signal design was prepared implementing far side head traffic signal heads, utilizing Connecticut Department of Transportation traffic signal design standards. Traffic signal installation details, special provisions and quantity estimates were developed for each subject project. Pavement marking and signing plans were prepared corridor wide, including special provisions and quantity estimates. Construction design support services were also conducted. VN Engineers was a sub consultant to C3TS for the signalization, lighting and signing and marking for the SR 60 portion of this DB project. Design includes all calculations, utility coordination, signal timings, signal operating plans, pole and foundation designs, coordination, plans and specifications for the project. VN Engineers assisted Atkins Engineering as a DBE subconsultant in the Districtwide Minors Contract Production Support for FDOT District IV. This task work order project included preparation of signing and pavement marking and signal plans for the improvements of the I-95 Blue Heron Boulevard Interchange. This project includes performing signing and pavement marking analysis and design, signalization analysis and design and completing subcomponent plans for constructability, biddability and production digital delivery submittals. VN Engineers assisted Atkins Engineering as a DBE subconsultant in the Districtwide Minors Contract Production Support for FDOT District IV. This task work order project included preparation of construction plans and documents for the improvements of this signalized intersection. 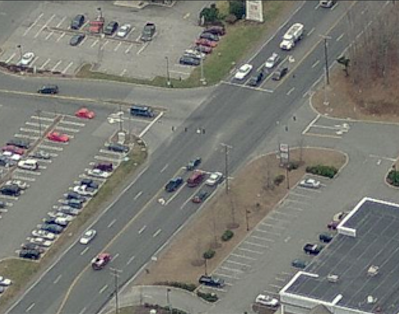 This project includes performing signalization analysis and design for upgrading the existing strain pole installation to mast arms and adding protective/permissive left-turns for eastbound and westbound vehicles. Preparing a community awareness plan and long range/engineers estimate update. VN Engineers assisted Atkins Engineering as a DBE subconsultant in the Districtwide Minors Contract Production Support for FDOT District IV. 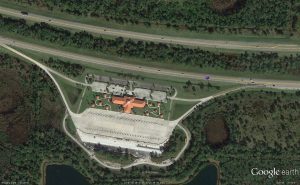 This task work order project included a lighting analysis and design (including temporary lighting) for the expansion of the truck parking lot at the I-95 Martin County rest area. 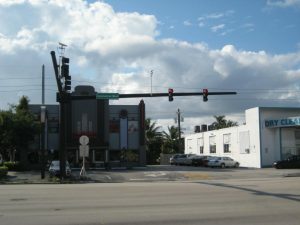 VN Engineers was a sub consultant to EAC for the 30% design of a new mast arm signal installation at FAU Boulevard. This project also includes the design of the lighting and signing and pavement marking for I-95 as well as the interchanges. Design included all calculations, utility coordination, signal timings, signal operating plans, pole and foundation designs, coordination, plans and specifications for the project. VN Engineers is responsible for the plan review of signing and marking, lighting and signalization design for the new interchange. 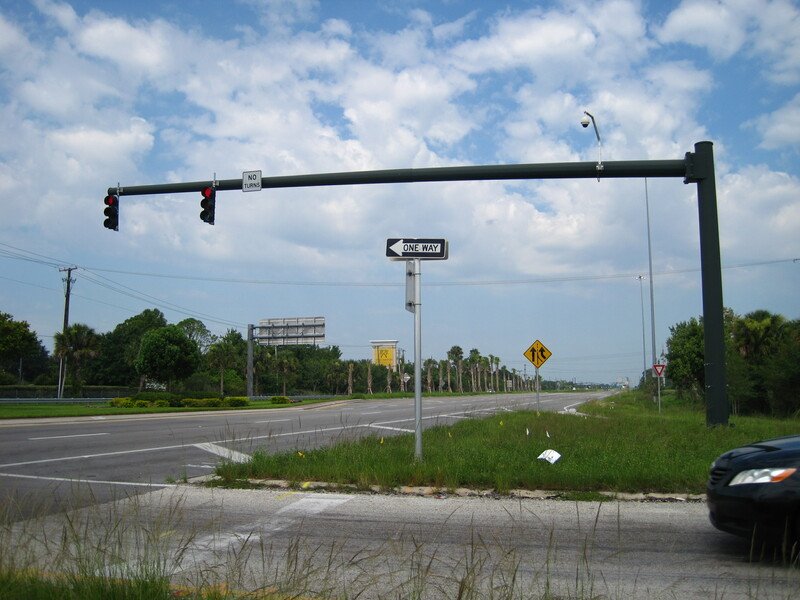 This project includes modifications to the existing signalization at the intersections of SRB and FAU Blvd. and NW 6th Way. 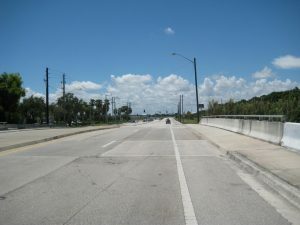 The SRB and FAU Blvd. intersection is currently configured as a span wire and is being converted to a mast arm design. 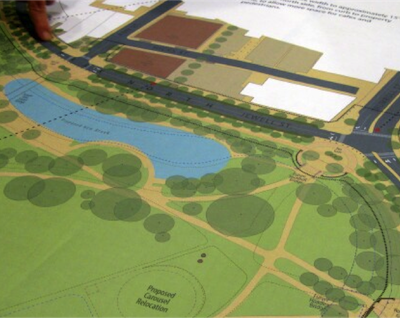 The project will also update the crosswalks, bike lanes and pedestrian features to the current design standards. VN Engineers assisted Atkins Engineering as a DBE subconsultant in the Districtwide Minors Contract Production Support for FDOT District IV. This task work order project included preparing construction plans and documents for the improvements of this signalized intersection. Responsibilities include performing signalization analysis and design for upgrading the existing strain pole installation to mast arms and adding protective/permissive left-turns for eastbound and westbound vehicles. Other duties include preparing a community awareness plan and long range/engineers estimate update. VN Engineers is also responsible for the preparation of complete signalization plans including traffic control for Constructability, Biddability, and Production as well as the preparation of the specifications package. 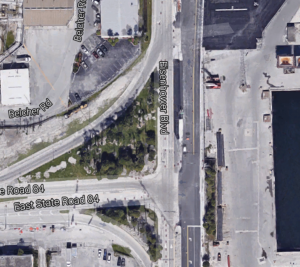 VN Engineers has completed a signal warrant study and demolition plan for the Spangler Boulevard Intersection in Port Everglades. 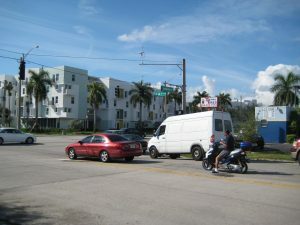 VN Engineers conducted field reviews and developed a AASHTO warrant study which showed that the existing signal at this intersection could be removed. As a result of increased port security after 9/11 the internal traffic patterns of the port changed drastically. The port installed guard gates that check all incoming vehicles. These check points are now being relocated to reduce their impact of cruise ship passengers. 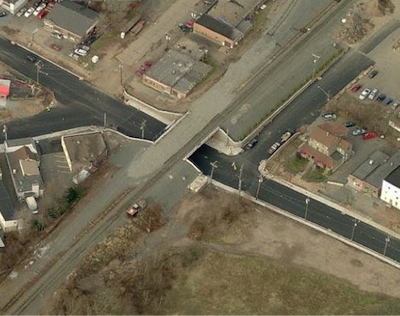 The scope of this project also included coordination with the designers of the new guard gate that is being designed north of the intersection.